Back in the bad old pre-revolutionary days, when Eben Sadie was at Elsenburg and Chris Alheit and Peter-Allan Finlayson were (I guess) playing barefoot rugby at Bishops, it was always “shiraz”, not “syrah”. And I had returned to South Africa to live in Cape Town and fall in love with wine and the winelands, and was doing courses at the Cape Wine Academy. There we were often told that when in doubt in a blind tasting “say shiraz”. It was difficult to pin definitive tags on shiraz, though it was accepted that it was often leathery or horse-sweaty. Cape syrah has come a long way since the early 1990s (and is now certainly the variety most involved in the best South African reds), but it would be a foolhardy and ignorant person who’d make a confident all-embracing characterisation of it. Just how startlingly different are the styles of syrah available here hit me recently, when I drank from two bottles on the same evening. This latter bottle had been brought to lunch by viticulturist Rosa Kruger and so much enjoyed that I asked to take the leftovers home to see how it developed over a few days. In line with the mini-revolution that’s happening at Kloovenburg, with Jolandie Fouché working with owner Pieter du Toit in the cellar, this new syrah is light, elegant and fresh, with a modest but firm tannic structure – delightful drinking, even in extreme youth. What overwhelmingly struck me when I turned to the La Motte was less the greater overall power (tannic, alcohol, ripeness, full-fruitedness) than the obviousness of new oak on aroma and flavour. It is a very good wine, and not without finesse in its impressiveness, nor overly blockbusterish in the way that many local syrahs still are. I am, though, finding myself increasingly intolerant of overt oakiness and couldn’t drink much of this still too young wine, given a personal preference for less oaky presence and a less extracted, less richly powerful style. But it did also occur to me to wonder which of these two bottles I would prefer after a decade in bottle. Tentatively I would vote for the La Motte, if I had to. 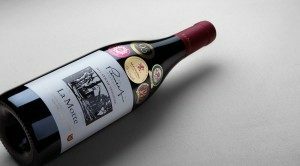 La Motte’s wines have a reputation for ageability, and I’m sure that the Syrah-Viognier will mature well and the oakiness integrate – and in fact play a useful role in the wine’s development. We are still learning if the more modern-style syrahs are going to age well, though I’m confident that at least such excellent ones as those of Porseleinberg and Reyneke (for example) should do so – they have the necessary stuffing and depth. What is certain, though, is that great ripeness, alcoholic power and new oak are no guarantee of a wine’s fine development. I recalled this when I experimentally turned to the 2006 Nederburg Shiraz Private Bin 121, a wine I’d admired some years back – though I had noted the plentiful alcohol and new oak. I was wrong in my too-positive assessment; it’s not just my own taste changing. The wine hasn’t stood the test of a decade in bottle well, though it’s far from dead. The oak is less of a problem than the alcoholic warmth and the extreme ripeness which leaves a dull unfreshness. Those will never be a concern with the lovely Kloovenburg.